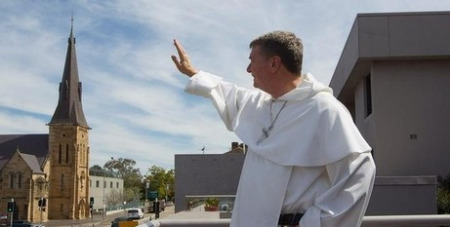 As a Sydney Catholic, what am I seeking from Bishop Fisher? First, as Archbishop, he needs to be a pastoral man, a nurturer. He doesn't have to be an avuncular soul like Pope Francis, but revel in drawing lay people in, writes Geraldine Doogue. What are the ideal characteristics of a man taking on the formidable job of Archbishop of Sydney in this early 21st century? Bishops have always occupied a venerable place in the life of the Church. Even though Rome has steadily centralised its power in the past 150 years, the temperament and approach of a local bishop really matters to his people, more than is generally recognised by our largely secular society. He needs to prove that he likes us. He needs to build on the virtues of Sydney, not merely define its vices; for there are many virtues in this big town, marked by generosity of spirit, vitality and creativity. As St Ironaeus said in the early second century: The greatest testament to the presence of God is a man (or woman) fully alive. That, in my view, is a good description of Sydney, which despite all its flaws, stands ready to contribute much to modern Australia. He should revel in drawing lay people right inside the tent, by recognising their readiness to serve and the talents just waiting to be exploited on behalf of the Church. He should be humble enough to know that only skills from outside the hierarchy will save the Church's reputation and refresh it now in the eyes of modern Australia. He should especially realise how much women are keen to be invited into the venture. They have been the long-term faithful and lament, more than most, the drift they see in their parishes. He needs to reassure himself – and those of us in the pews – that the Church's tradition has so much to offer modern Australians, if accessed in ways that apply to contemporary dilemmas. This is not easy to divine but really is a critical challenge. He needs to expend multiple energies, plumbing the wonders of Church writings in order to refresh them for Australians and use all the modern techniques to spread the word. Plus he needs to continue the journey, full of shame, repentance and self-knowing, that I assess is well underway about sexual abuse. I think Winston Churchill's end-of-the-beginning remarks genuinely do apply to the hierarchy's approach, which implies, just as at the start of World War II, that there is still much to come. Above all, the Archbishop needs to model an authentic sense of hope, so that it becomes contagious. It has to be "of him," whatever that means, nothing bogus. Otherwise, why bother?